Yum-yum sauce is a creamy sauce often found in Asian (mostly Japanese) restaurants. The sauce generally has a pink color and is served either as a dipping sauce or a sauce to pour over meat, vegetables, and rice. You might also know the sauce as some of its other names below. 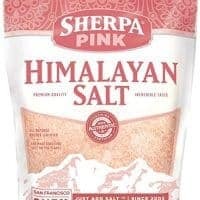 Normally the sauce has a fair amount of sugar in it, making it not ok for a low-carb or keto diet. Similarly, most of the processed sauces used in restaurants have tons of added ingredients that would probably be best not ingested. You might be reading this and thinking… “I thought this sauce was called … instead.” Well, technically, you’re not wrong. Here are a couple synonyms for yum-yum sauce that you might be more familiar with. Don’t worry though; different name, same sauce and same delicious taste! 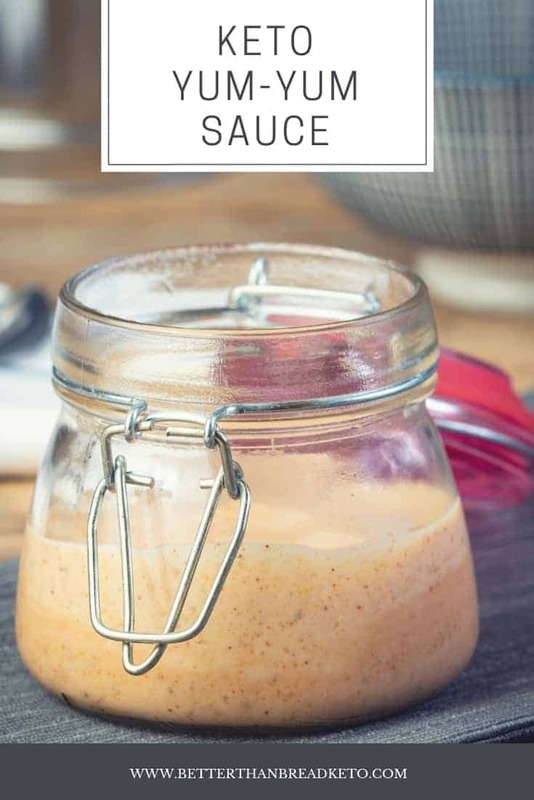 To make this delicious keto yum-yum sauce, you’ll need to round up the following ingredients. After you have this list of ingredients together, it’ll be time to jump in the kitchen and go to work! Making this yum-yum sauce is very easy. Being by mixing all of the ingredients together in a mixing bowl and mix using a whisk or high-speed blender. Taste the mixture and add more sweetener (to taste). Place into the refrigerator and refrigerate at least two hours before serving. Pour or dip and enjoy! Storing the sauce is very easy. Simply store it in an air-tight container in the refrigerator for a few days. For ease of pouring, you might also consider getting a glass bottle with a stopper cap. These allow for storage and easy pouring, all while remaining air-tight and easy to use. CAN YOU FREEZE YUM-YUM SAUCE? Unfortunately, you can’t freeze this sauce. Since it contains mayonnaise, thawing it from its frozen state will just let the mayo separate. When that happens, the sauce will just be a nasty, runny mess and is not easily fixed. When making this, you definitely need to plan on using it within a few days, storing it as described above. Keeping it for the long term is, unfortunately, just not possible for this recipe. CAN’T I JUST BUY THIS IN THE STORE? Can you but bottled yum-yum sauce in the store? Of course you can! Notice I didn’t say keto or low-carb yum-yum sauce, though. Store-bought sauces, like most other processed items, contain all kinds of additives, sugars, and other nasty ingredients. This recipe calls for nine ingredients, a good number of which are spices to give the sauce its flavor. As you can see, you certainly can buy yum-yum sauce in the store, but you definitely don’t want to. SHOULD I HEAT MY YUM-YUM SAUCE? This sauce can definitely be heated, but if you are eating it overtop some of our Keto Japanese Fried Rice and Low-Carb Asian Honey Chicken they will do a fine job of heating the sauce for you. In the end, it’s all up to you! WHAT’S THE DEAL WITH NO-SUGAR ADDED KETCHUP? Depending on where you look, “no sugar added” can mean a lot of different things. Most times, it is misinterpreted as there is no sugar in the product. If you’ve ever looked, this is certainly not the case for most things with this label. Instead, the moniker should be understood as no sugar was added to the mixture. Also know, this definitely doesn’t mean a low carbohydrate count either. So, when it comes to ketchup, no sugar added means the company hasn’t added sugar to the tomato ketchup mixture. Generally, the ingredient list on this type of ketchup is also smaller than sugar-filled ketchup. Again, this doesn’t mean the ketchup will be carb-free. Instead, there are very few carbs in this type of ketchup; usually 1g of carbohydrate per tablespoon. This, of course, is in comparison to normal ketchup which has anywhere from 4g to 7g of carbohydrates per tablespoon. Quite the difference in the two! 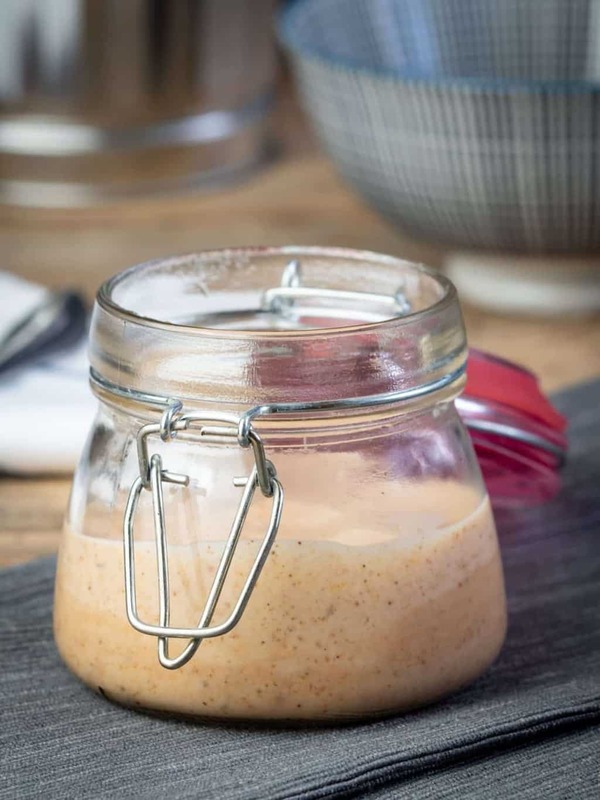 There are a few benefits of making your own keto yum-yum sauce. 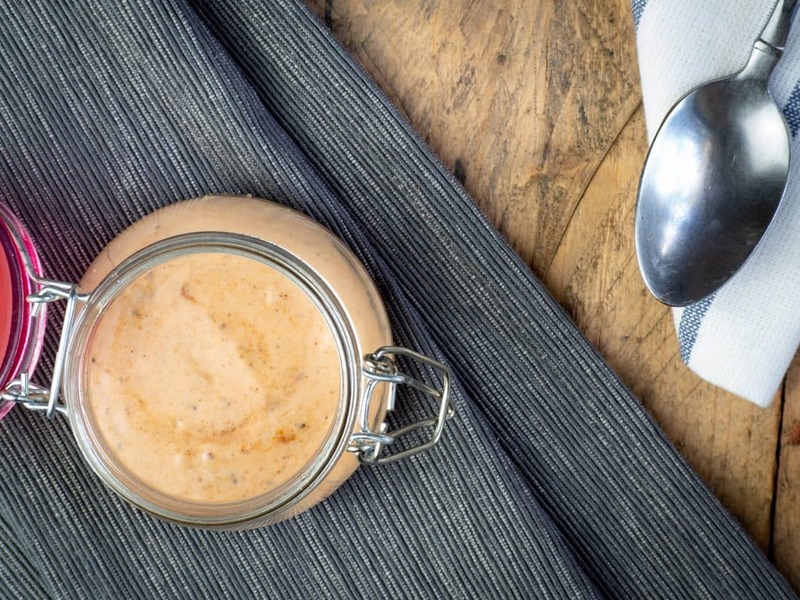 If nothing else, homemade yum-yum sauce is free of added ingredients, sugars, and fillers. The most obvious benefit is the fact that this sauce is both keto and low-carb. Low amounts of sugar and non-processed ingredients make it perfect for anyone eating one of these two diets. 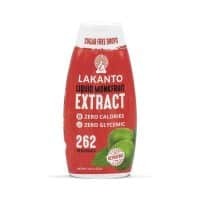 Since this sauce contains no cream or other dairy products, it is perfect for anyone wishing to avoid dairy products in their foods and sauces. Not necessarily by design, but this sauce is also totally gluten-free! CAN I ADD SPICE TO MY YUM-YUM SAUCE? Sure you can! The easiest way to add some Asian-style spice to this sauce is to use chili garlic sauce, a sauce incredibly similar to sriracha. The best part is, unlike sriracha, this sauce isn’t full of sugar and other additives. Even though they are both made by the same company, the two are very different for anyone who is reducing their sugar and carbohydrate intake. Just a little bit of the chili garlic sauce goes a long way when it comes to spicing up an Asian-inspired dish. However, if you are looking to make your yum-yum sauce “hot ‘n spicy,” this will definitely do the trick! 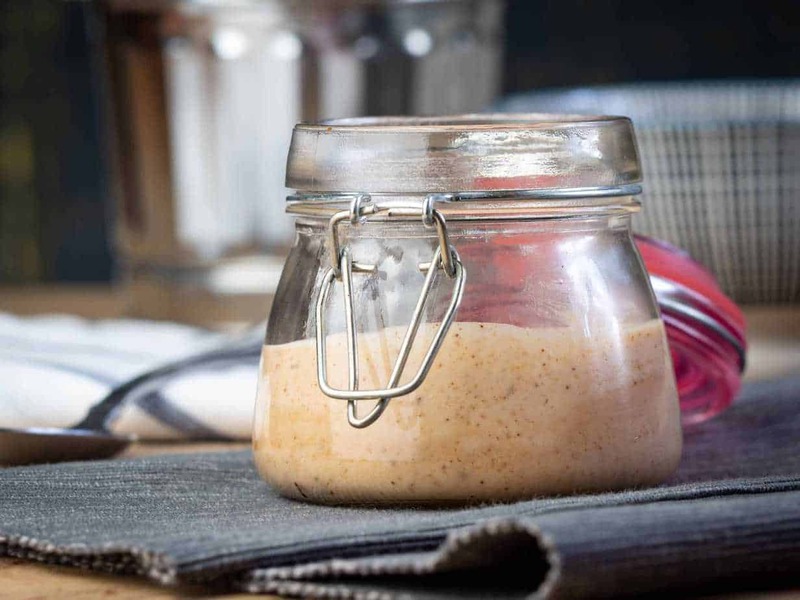 Hand Mixer – Using a hand mixer to mix this yum-yum sauce will cut down on your workload a lot. 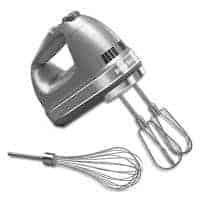 Of course, using a whisk will work just as well too, but a hand mixer will make the mixing process so much easier! Yum-yum sauce is one of the best parts of Japanese food. The bad news is, the restaurant and bottled versions are full of sugar and other nasty ingredients.